This post was sponsored by Nabisco as part of an Influencer Activation for Influence Central and all opinions expressed in my post are my own. 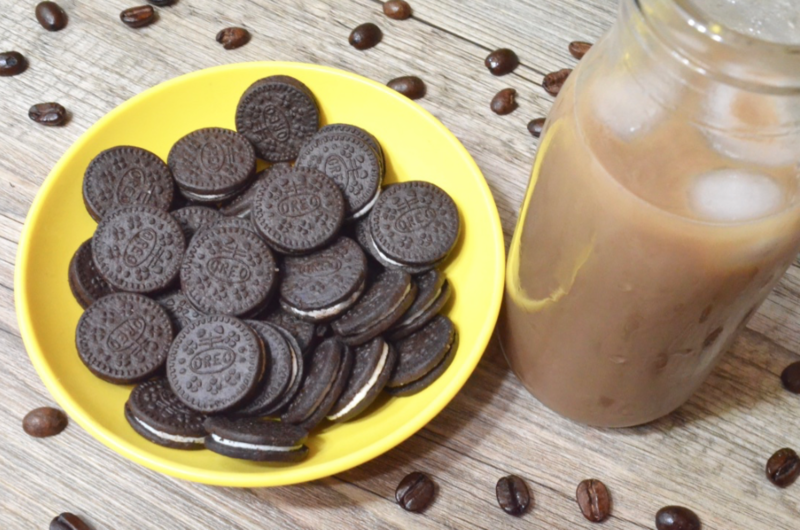 The OREO Iced Coffee Recipe idea is my own creativity! Any time I see delicious new treats on the grocery shelf it catches my eye! 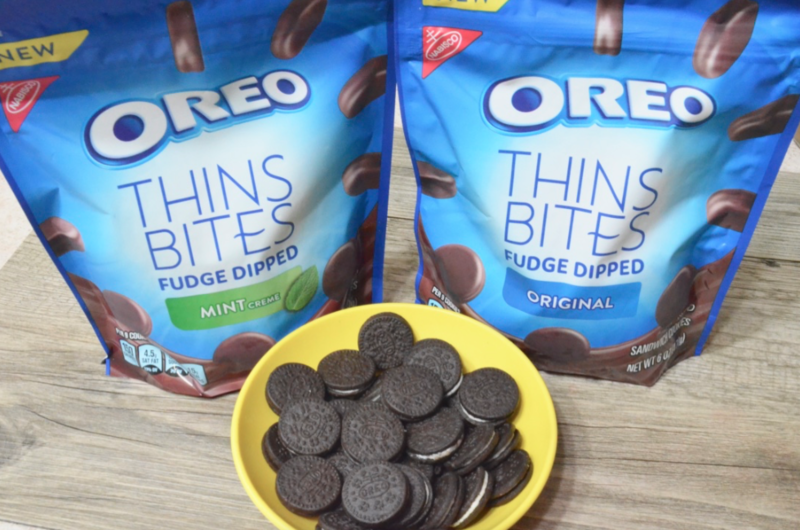 Recently I discovered both the OREO Thins Bites AND the International Delights OREO Iced Coffee – both are fantastic! 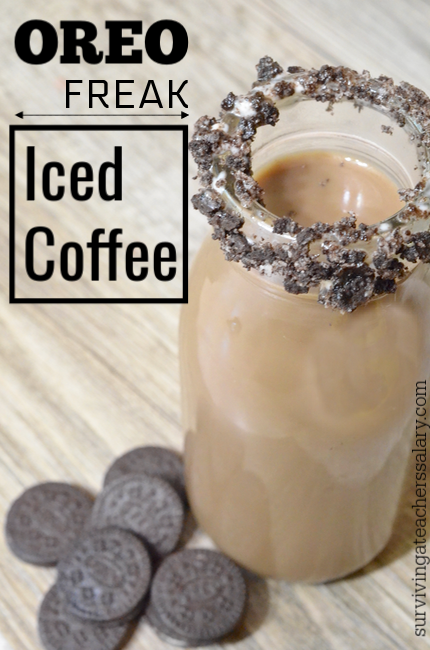 Below you can save up to $2 off these OR if you want an easy OREO Freak Iced Coffee recipe (or OREO Freak Shake recipe) just scroll down to the bottom of this post! Both can be done in just a few minutes! 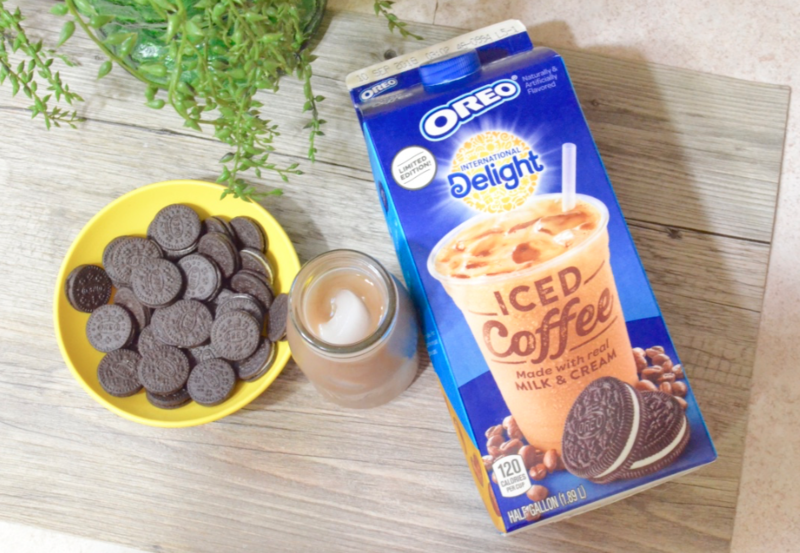 CLICK BELOW for $1 off International Delight OREO Iced Coffee & $.50 off OREO Thins Bites Coupons at Wal-mart! *Trying to figure out how the $1.50 of coupons I listed equals the “up to $2 off” you see in the image above? You’ll save an ADDITIONAL $.50 when you buy BOTH items! 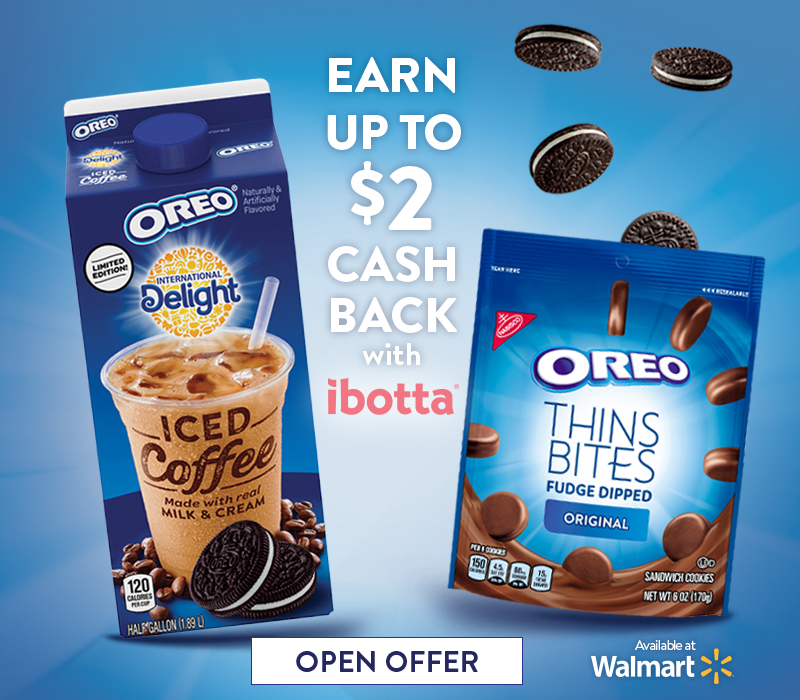 I LOVE the Ibotta app not only because it helps to save my family money on regular grocery shopping at Wal-mart BUT it also gives me the chance to try new items like the new International Delight OREO Iced Coffee and OREO Thins Bites at a better price! Especially in the last half of summer we tend to go out with a bit of a bang! It helps us to ease into the new school year! I have a confession to make. I am a black coffee kind of girl. I like it strong. No cream. No sugar. 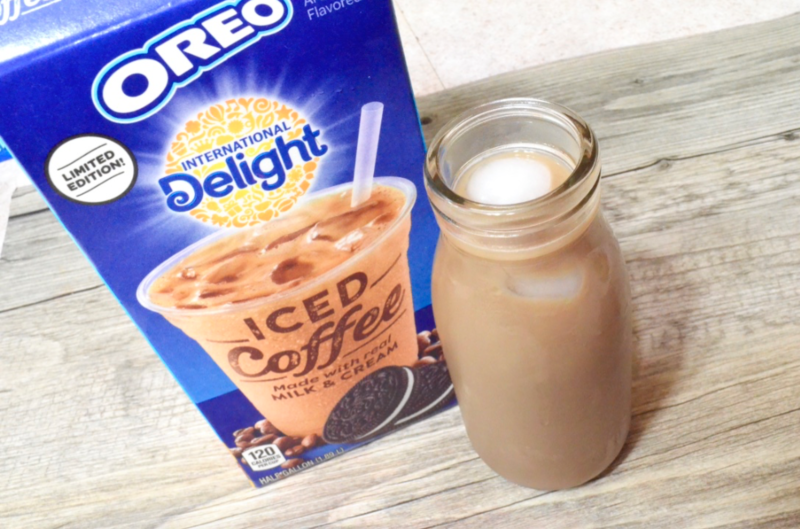 I wasn’t sure what I would think of the new International Delight OREO Iced Coffee BUT I knew that I actually love other International Delight flavored coffees so I was willing to give it a try. I fully expected to be kind of grossed out at a chocolate cookie flavored iced coffee since I don’t like sweet coffee. OH BOY was I wrong! It has just a hint of OREO flavor and is AMAZING! I won’t divulge how much of the carton I drank while taking photos for this post! Just grab a cup of ice and pour – it’s that easy! 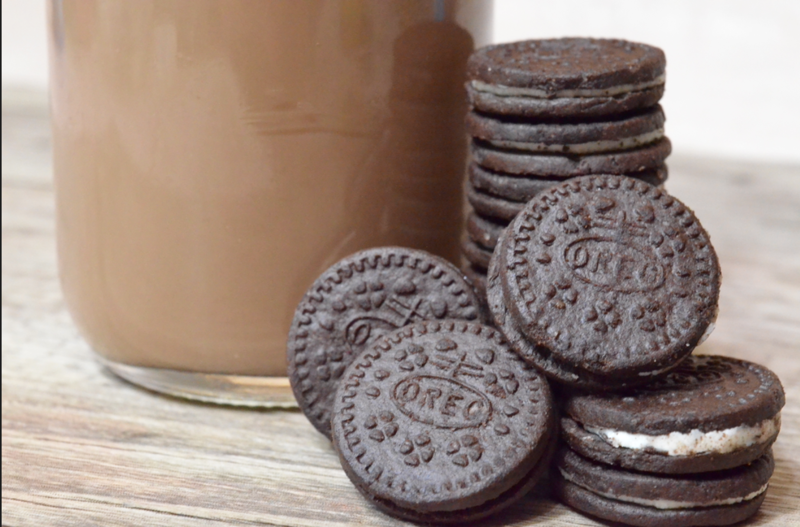 UM, OREO cookies have a special place in our house – but OREO Thins Bites?! I had to hide these in a bag so my kids would let me take pictures of them before they disappeared! I found 3 flavors at my store – Original (pictured), Fudge Dipped Mint Creme, and Fudge Dipped Original. I took photos of just the Original flavor since they photographed better but my fav? The Fudge Dipped Mint Creme – YUMNESS! These itty bitty OREO Thins Bites are the perfect snack size! You can dip them in your International Delight Iced Coffee (which is amazing!) OR make a mini version of an OREO Freak Iced Coffee or freak shake as listed below. 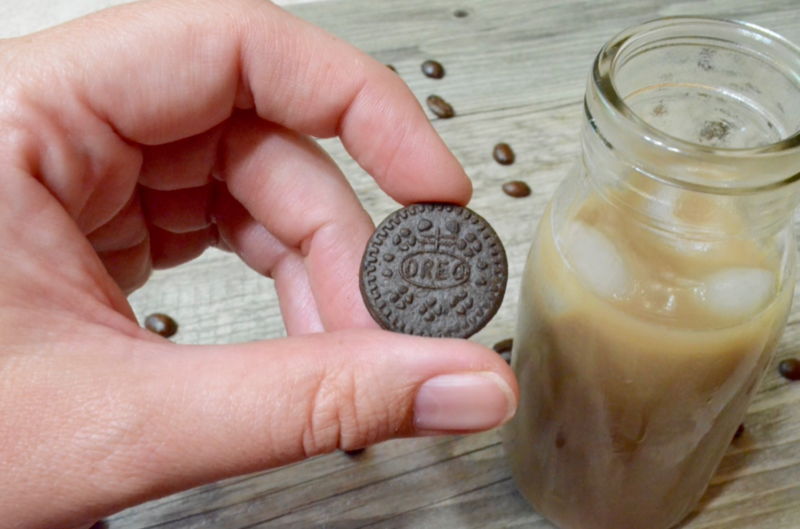 This OREO Freak Iced Coffee recipe simply couldn’t be easier! Dip the rim of your drinking glass into a small bowl of frosting. Then dip glass rim in a bowl of crushing OREO Thins Bites. Pour in International Delight OREO Iced Coffee. VOILA! You’re done! An EASY and simply stunning treat! This is VERY similar to the above recipe but slightly altered to make as a freak shake. In blender add 1 cup of International Delight OREO Iced Coffee + 2 scoops vanilla ice cream. Crumble OREO Thins Bites and sprinkle (or dump) generously onto cream. Add a few extra OREO Thins Bites onto top! Looking for more delicious ideas? Follow OREO on Facebook and Twitter!